So, now you're equipped with all these sales techniques but who are you going to sell to? If you haven't gotten your feet wet in the financial industry then you're missing out on a huge market for print products. Nearly every financial transaction involves some sort of document. Loan applications, tax forms, certificates of deposit: all of these forms still exist in print and are often branded with the name and logo of the relevant financial institution or government agency. Not only do banks need these forms for their files, the IRS expects individuals to maintain a record of print forms for tax purposes. When it comes to these forms your target audience includes a decent-sized list of establishments. Commercial banks, mortgage companies and credit unions are among the pool of potential clients. When pitching these products, print distributors should seek out marketing heads, branch managers or HR leaders as they are the decision-makers in these purchasing commitments. Print distributors should target financial companies for a source of repeatable and consistent business. Previous posts have laid out common forms for the education, automotive and shipping sectors; in this post we will lay out six of the most common forms in the financial sector. 1. Deposit Slip: Chances are you've encountered a deposit slip at some point in your life. The document is pretty straightforward. The slip designates areas for basic information such as name, address and date. Customers need to provide the checking account number for the account they plan to deposit the money into. This form also specifies the dollar amount being deposited. Customers often fill out the relevant areas regarding the deposit amount in their checkbooks. These forms are standard in every bank location and can become repeat, steady orders for print distributors. 2. 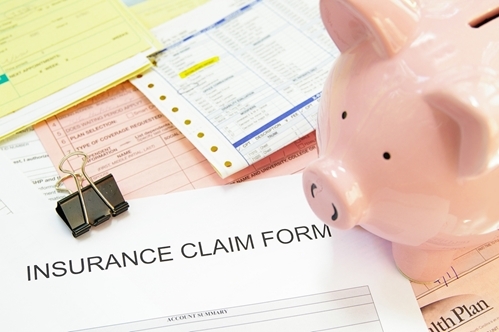 Insurance application: There is a wide range of offerings available when it comes to insurance applications. From medical insurance to auto insurance, these financial documents are in demand beyond bank doors. They include standard information regarding contact information and more detailed facts about he insurance the applicant is seeking. Obviously every form differs but the demand for these print products is plentiful and as such creates a largely profitable market for print salespeople. 3. Certificate of deposit: A certificate of deposit is issued by the bank when a person deposits money for a specified amount of time. These deposits are insured by the bank. The physical certificate is a source of business for print distributors. The document looks much like what you would expect a certificate to look like, with a declaration and a seal of approval. The name of the person depositing the money is clearly displayed on the form as well as the deposit number and date of the actual transaction. 4. Bank statement: A bank statement is exactly what it sounds like: a statement from your bank of your account transactions. These print products can be sent directly to a customer's house or retrieved upon request. Bank statements are almost always marked by a prominent bank logo somewhere along the top. The sheet is usually set up with the customer's name, the statement period dates and the account number. The transactions are organized in a list format with date, description, reference number and the relevant monetary amounts spent or deposited. 5. Check stock: Banks can order check stocks directly from print distributors. These are a major market for both the bank and the print business itself. Check fraud is a common occurrence, as such leading print providers offer stocks with various security features. Some offer unique invisible fluorescent fibers that are only visible under UV lights. These measures help confirm a check's authenticity. Other checks sport heat-sensitive technology that makes logos disappear when rubbed or heated. Many print providers offer a combination of these features. Stocks are often ordered in bulk on behalf of bank companies and are nearly always customized with brand logos. This is a major market for print salespeople as the various security features can put high price points on these items. 6. Wire transfer: A wire transfer is a way to electronically transfer money to another person. In order to complete a transfer a form must be filled out. The document involves a variety of information including the account numbers of both the sender and recipient, basic contact information and the actual dollar amount being transferred. There are also areas specifying the form of currency the money will take upon being received as well as the type of currency it was in its beginning state. The applicant must then sign in order to agree to the bank transferring the funds. The form usually includes a page of extensive terms and conditions specifying various laws and grounds for the recall of funds.